Urban has hired former Florida and Temple assistant Zach Smith to coach the wide receivers at tOSU. Zach is the grandson of Earle Bruce, and attended Dublin Coffman HS. 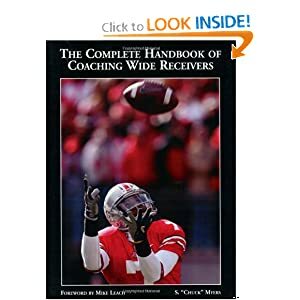 He was on Meyer's Florida staff for 5 years; as a quality control assistant for special teams from '05-'07, and as a graduate assistant for the offense in '08-'09. He spent 2010 as the WR coach at Marshall, and spent 2011 at Temple in that same role. Damn this dude is younger than me! I feel old now. Congrats to Zach! "Zach Smith has already coached with me for five seasons, and so I know what a quality coach he is," Meyer said in a statement. "He knows my system inside and out and he teaches the system the way I want it to be taught." That's because Smith said Meyer has taught him virtually everything he knows about football. "I would not have had a single job in this industry without him," Smith said. "He gave me an internship at Florida basically because he knew me my whole life and has a lot of respect for my grandfather. But I could have been (stuck as) an intern for 20 years. I had to really work to gain different responsibilities with him." Smith left Florida to become wide receivers coach at Marshall University in 2010 before going to Temple to coach wide receivers and special teams this year. "A lot of people grow up watching players in the NFL and say, 'I want to be like Jerry Rice or Eddie George,"' Smith said. "I grew up saying I wanted to be like Earle Bruce. "I loved playing football, but really I wanted to be just like my grandfather. At an early age, that?s what I knew I wanted to do." And now he will coach at the college he has always adored and where in nine seasons his grandfather compiled much of the resume that made him a Hall of Fame coach. "It's something I wish my grandmother could have been here to see," Smith said. "She told me when Coach Meyer got hired that if I had the chance to join his staff, she would be at the first game. Obviously, she won't be in person, but she will be there (in spirit). "I'm just glad I got the opportunity because I know she wanted it as much as anybody, and I know she's proud." "A lot of people grow up watching players in the NFL and say, 'I want to be like Jerry Rice or Eddie George,' Smith said. "I grew up saying I wanted to be like Earle Bruce." I hope I'm lucky enough to have a grandkid say something like that. In case there was ever a doubt as to the quality of man that Earle Bruce is. Wow. MaliBuckeye 1) Be A Man. About 9 minutes of Q&A with the press. COLUMBUS - He'll be working with the offense, but in his first meeting with the media, new Ohio State wide receivers coach Zach Smith went on the defensive. In an interesting exchange with a reporter, Smith was asked about all the positives - and negatives - he's learned about coaching football at Ohio State from his grandpa Earle. That would be Earle Bruce, whose 81-26-1 record and 5-4 mark against Michigan couldn't save him from getting fired in 1987 by the school for whom he remains fiercely loyal. "First of all, to correct you, if he's told you a negative about the university, I'd love to hear it," Smith said. "I haven't heard one since 1987," the reporter quipped, drawing a round of laugher. "Fair enough," he said. "If (Bruce) ever had a negative thought, it's never been spoken to me. I can't really think of a negative here. It's a dream job; something you live your whole life hoping to get. There's obviously a lot of pressure in it, but what the heck? If you're not in (coaching) to get your dream job, why are you doing it?" Coming home reunited Smith, a Dublin Coffman graduate, with head coach Urban Meyer, a former graduate assistant at Ohio State for Bruce. Ohio State receivers coach Zach Smith has his work cut out for him this season. The Buckeyes are coming off of one of their thinnest years at the position in recent memory, and Smith is walking into a new situation with young receivers in a completely different offense than the one that they were in last year. Some would view this as a negative, but not Smith. "I'm fired up about it," he said back in January. "They're some talented kids, and the best thing that they've got going right now is that they're young and they've got experience. "Usually right now you're walking into a situation with a freshman or a sophomore that watched other guys play, and was sitting there like, 'Oh man, I wonder what that's like.' But now we're walking into a situation where the kid already knows. He's played twelve games or ten games, or however many. So when he walks into Ohio Stadium, it's not his first rodeo." What area is Coach Smith responsible for as it pertains to recruiting?